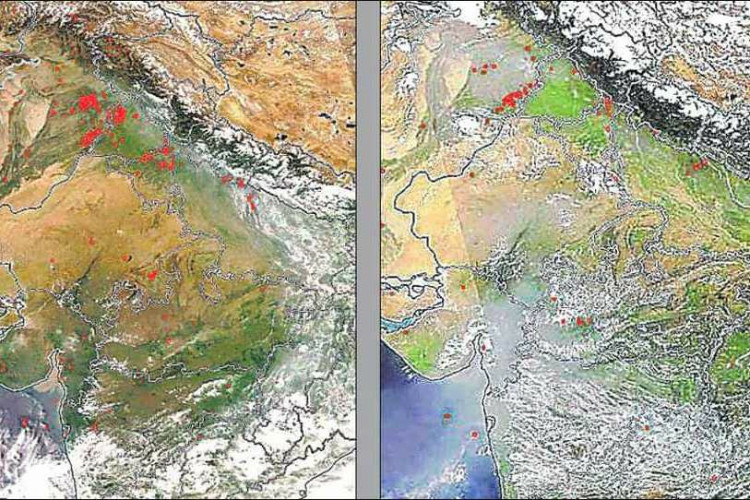 As compared to the last year, this year few cases of crop burning were seen in Haryana and Punjab in the same time period of Oct 2-5, as shown in the images by NASA satellite. But, the farmers in the 2 states have said that the burning of farms will increase by next week. Though both the states have banned burning crops, farmers still do it due to lack of equipment to clear fields quickly and manual field labor is costly.